You arrive home after a long day of work and go figure…you can’t get into your driveway because the snow is too deep. After wading through the snow to get in the house, get on your snow gear and grab a shovel, it’s time to get shoveling. This is no easy task and you will quickly break a sweat, but be careful not to break your back. It’s a good idea to warm up your muscles before shoveling by walking around for a few minutes or marching in place. Then stretch your arms and legs to allow your muscles to move more efficiently. (You wouldn’t run a marathon before warming up, this should be no different). 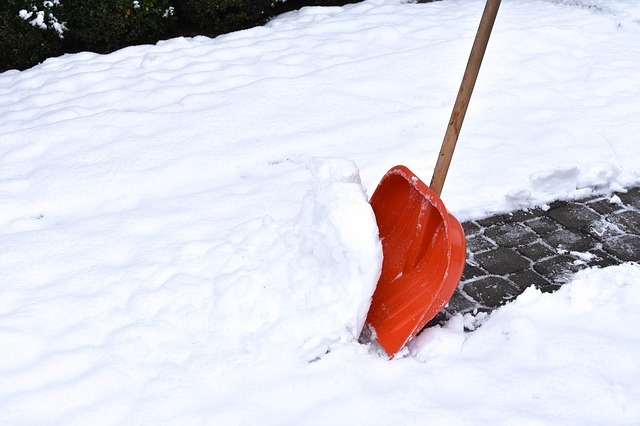 After you’re all warmed up make sure you use the correct snow shovel. A bigger shovel doesn’t always mean better, especially with heavy snow. Look for a D-grip handle to provide a hand placement position that is more angled to the mounting surface. Make sure to use proper technique while shoveling (yes there is such a thing). Stand with your feet at hip width apart to maintain your balance while keeping the shovel close to your body. Then, bend at the knees, not your back, and tighten your abdominal muscles as you lift the load on the shovel. If you need to move a load to one side of your body, re-position your feet to face the direction in which the load is good. Dealing with the snow is bad enough, why have to deal with doctors, chiropractors and your health insurance too? ‹ The Mid-Ohio Youth Mentoring Comedy Benefit Show Is This Saturday!